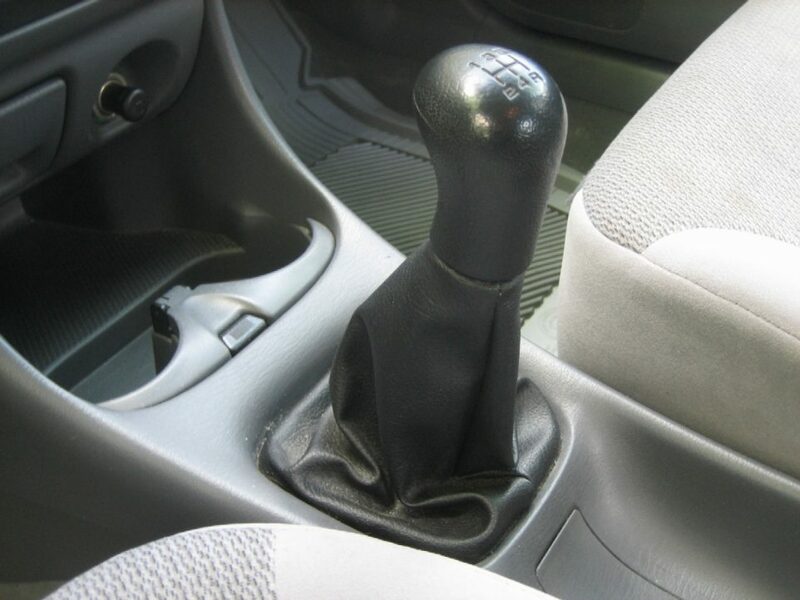 Manual transmission cars have been in existence since the mass manufacturer of cars. Today, most cars have automatic transmission. The lack of the clutch makes it easier to drive. In automatic transmission cars, the gear change is done automatically as you increase speed. When purchasing a car you need to know the difference between the two transmissions because they have different maintenance costs and handling. If you are a first time owner of a car you may find the automatic transmission easy to drive – especially in traffic congested roads. Cars use a set of gear ratios to move the car. When in a low gear you have reduced speed but more power. Higher gears help you go at higher speeds but with less power. Gears are vital for distributing power when driving. In an automatic transmission, this is done without the driver’s input. All they have to do is press the gas pedal or brake. Most people refer to the manual car as a stick shift. This because you have a stick between the driver’s seat and the passenger seat. In some cars, you have the stick under the steering wheel. The clutch pedal is located on the left side before the brake and fuel pad. In the engine, there is a clutch that is located between the transmission and the engine. You operate the manual car by releasing the clutch while simultaneously changing the gears. Problems with manual system arise when you are starting the car from a motionless place. If you release it to fast the car will stall or if you do it too slowly you will wear out your clutch. You require some practice to handle hill starts. When driving a manual car you need to constantly listen to the engine. Initially, most cars come as three speed which later moved to four-speed. Nowadays we have five and six speeds. If you have a dead battery you can jump start the car on a descent using a manual car. Just let the car run and then quickly release the clutch. This will bring the engine back to life. This is impossible with an automatic car. When driving you do have greater control of the car when you are using a manual transmission. However, you need to concentrate and balance your feet when operating the gas, clutch and brake pedals. Your hands are constantly on the gears. Maintenance costs are lower in a manual car than an automatic transmission. Manual cars are increasingly cheaper to purchase than automatic cars. If you are buying a car on a low budget go for the manual transmission. Since the cars weigh less you enjoy fuel economy. It is approximated that manual drivers save up to 10% to 15%. These came later and were mostly fitted on luxury cars. Today almost any car model has an automatic transmission. 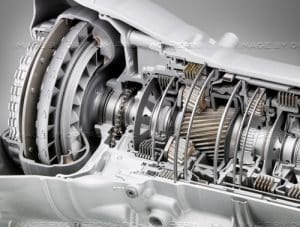 In an automatic transmission, you have a hydraulic torque converter. The gear change does not require the input of the driver instead the car realizes the need for a gear change depending on the speed of the car and throttle pedal. An automatic car offers a smoother ride because you do not need to get the clutch right when driving. It is even easier to drive an automatic car during traffic jams. Automatic cars feature a dual clutch that is effective for a gear change. This can be done in a matter of milliseconds. Initially, most of the automatic cars where four speeds but now we have five, six and even eight speed. If you are an inexperienced driver it can be difficult navigating steep hills with a manual transmission. This is especially the case when the car is at a complete stop. Automatic cars let you focus on your steering as both hands are occupied. You also forget those embarrassing moments when your car stalls in the middle of a traffic jam. Driving an automatic car is less stressing during traffic jams. You do not need to constantly press and release the clutch. Another common type of automatic transmission is the continuously variable transmission (CVT). In this instance, the gear change is through a series of belt and pulleys. In this case, there is no shifting of the transmission and this offers the car a set of infinite ratios. CVT has the added advantage of smooth acceleration. The decision to purchase a manual or transmission is a personal one. With a manual car, you have low purchase and maintenance costs. However, the manual car is difficult to drive as you have to constantly have one hand changing gears while your feet are balancing braking and the clutch. The manual gear is hard to learn when you are doing hill starts. But, they let the driver have better control of the vehicle. Manual cars are tiring when you are driving through traffic jams. Automatic cars enjoy increased in usage. They have become more common. But, they are harder to maintain when compared to manual transmission. They, however, offer a smoother ride. You also have reduced chances of the car stalling. Nowadays, we have automatic transmission with more gears – five, six and even eight-speed. If you are purchasing your first car and are looking for a car for daily commute it is wise to go for the automatic transmission. Due to the large set of pros and cons many people find it difficult to choose between the two. Your car budget will be a key determining factor. In most cases, you will find that a manual car is cheaper than an automatic transmission car.